Transitioning to digital radiography (DR) from analog or computed radiography (CR) technology is a crucial choice for your practice. Here are some questions to ask as you move forward. What technology am I currently using? You may be using analog radiography involving film, computed radiography that employs phosphor imaging plates, or even an earlier, less-relevant version of digital radiography. Ask whether your current system is as effective as it could be. Can it sufficiently address your current patient intake? Are you 100 percent sure about your HIPAA compliance? Can you access data securely from offsite? Are there other aspects of my business that should be digital? Patient records, internal filing and accounting information can all benefit from being transferred to a digital system. The integration of DR is much simpler if records and other files are also digital. Plus, once all client files are digitized, this helps ensure HIPAA compliance, as well as allowing for implementation of an effective disaster recovery program. How many patient exams do we give per year on average? And how much do we want to grow in the next 3 to 5 years? Asking these questions will help you decide if the switch to digital radiography is right for your practice. If steady growth is in your predictions, it would most likely be beneficial to make the transition, to keep up with the increase in patient demand. What will transitioning to digital radiography cost, aside from purchasing the technology itself? The switch to digital radiography is not just about the initial outlay of cash for new machinery. When selecting a DR product/service, it’s good to also consider ongoing costs associated with digital radiography. But, it’s not just about cost; you’ll want to also consider the ROI of the switch to DR, including areas like consistency, speed of service, workflow optimization, decreased down time, and insurance reimbursement rates. How can I best safeguard my current digitized data? Confidential patient data is at risk for medical cybersecurity threats when placed into a digital system. It is crucial to have a process in place that will filter threats, send alerts and require immediate action to be taken. Dicomesh from Medlink is one such system that provides synchronized system back-up. 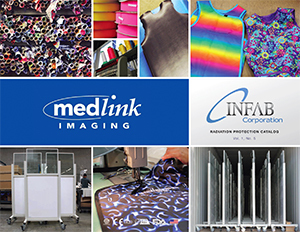 Medlink Imaging carries a wide range of digital x-ray equipment, ensuring there’s always a great match for any office’s specific DR needs. Once you decide it’s time to make an upgrade, you’ll find the perfect digital radiography system here.